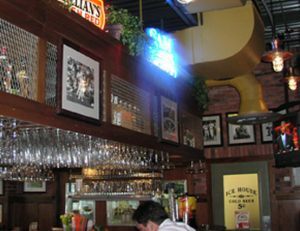 Founded in Chicago in 1943, Pizzeria UNO is renowned for it’s deep dish Chicago style pizza. 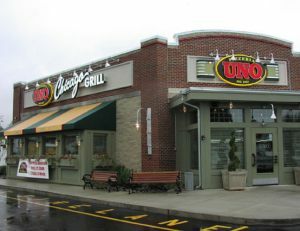 While the menu and pizza style have expanded and changed over time, their commitment to offering quality ingredients, courteous service, and an inviting atmosphere remain constant — across all of the more than 140 UNO locations. 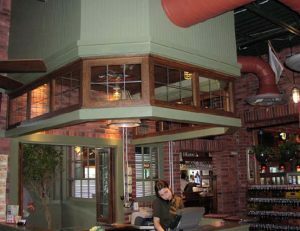 And Coastal Construction is especially proud of the part we played in building the New Hampshire restaurant. 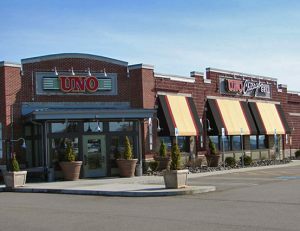 We provided complete ground up services on a pad ready site for a Pizzeria UNO new concept free standing restaurant. The project involved Coastal’s full range of services: site work and utilities, concrete foundations, masonry split face bearing walls with brick entry and columns, bar joists and metal deck roof, Genflex PVC roof membrane, storefronts, EIFS doors, hardware, metal framing, insulation and drywall, interior finish carpentry, flooring, painting, FRP fire protection, plumbing, HVAC and electrical.